Reference: Cited in Tony Watson, Sociology, Work and Industry, 2nd ed (London: Routledge & Kegan Paul, 1987), p. 190. Reference: Philip Cohen, 'Teaching Enterprise Culture: Individualism, Vocationalism and the New Right', in Ian Taylor (eds), The Social Effects of Free Market Policies: An International Text (New York: Harvester Wheatsheaf, 1990), pp. 52-3. British schools have traditionally performed a socialising function, teaching leadership and conservative values in elite schools and “submissive acceptance of the social order” in the schools where working class children attended. Over time this socialisation has had to be less explicit but the underlying assumptions are still there. Reference: Tony Watson, Sociology, Work and Industry, 2nd ed (London: Routledge & Kegan Paul, 1987), p. 190. In Britain, high social status, a public school education (‘public’ schools being exlusive private schools in Britain) and a non-technical degree from one of the more prestigious universities — Oxford or Cambridge (referred to as Oxbridge) — are better keys to top corporate jobs than a technical education even at university level or a postgraduate business qualification. This is referred to as the 'old boy network', suggesting that connections made at school are an invaluable aid to future careers. 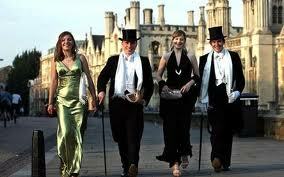 Reference: Hannah Frankel, ‘Is Oxbridge still a preserve of the posh?’, Times Education Supplement, 27 August 2010. [A Sutton Trust] 2007 study found that the number of pupils at the top 30 comprehensives who went to Oxbridge was just a third of what might be expected if entry was based on ability alone. Every year, the so-called “missing 3,000” have the results to go to top universities, but miss out. At the top 30 independent schools the situation is reversed, with more than might be expected getting places at Oxbridge. Reference: 'The Old Boy Network', Sluggish Software Wiki, 2011. 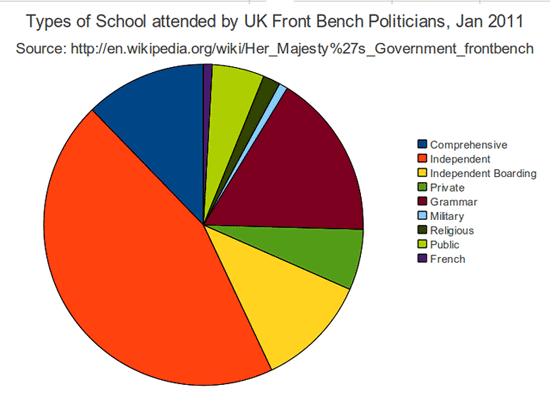 The diagram below shows that two thirds of UK front bench politicians in 2011 came from independent and private schools, which are attended by 6.5% of children. Reference: Lindsey Macmillan and Anna Vignoles, ‘Mapping the occupational destinations of new graduates ’, Social Mobility and Child Poverty Commission, London, October 2013. Reference: Lindsey Macmillan and Anna Vignoles, ‘Mapping the occupational destinations of new graduates ’, Social Mobility and Child Poverty Commission, London, October 2013, p. 27. Our results indicate a persistent advantage from having attended a private school. This raises questions about whether the advantage that private school graduates have is because they are better socially or academically prepared, have better networks or make different occupational choices. Reference: R. W. Connell, Ruling Class Ruling Culture: Studies of Conflict, Power and Hegemony in Australian Life (Cambridge: Cambridge University Press, 1977), p. 158. Reference: Sally Young, ‘Private schools and the art of ripping off parents’, Sydney Morning Herald, 4 September 2013. Reference: Golden, Daniel, 2006, The Price of Admission: How America's Ruling Class Buys its Way into Elite Colleges — and who gets left outside the gates, Crown, New York. Daniel Golden, in his book The Price of Admission has demonstrated that the wealthy elites in the US are able to buy the way for their children to attend prestigious, ivy league universities (such as Harvard, Duke, Brown, Notre Dame, the University of Virginia, Princeton, Stanford and Amherst), thereby jumping the queue ahead of others who have better academic records and exam scores. By attending these universities, they "acquire a prestigious career credential and high-powered friends and spouses" and the elites are able to perpetuate themselves as a class. Reference: Albert Scardino, ‘New Yorkers & Co.’, New York Times, 25 April 1988. But in New York, at least, graduates of the nation's elite business schools had been commanding a much bigger presence even before the scandals on Wall Street. Financial services, where business school graduates dominate the senior ranks, have experienced explosive growth. As a result, not only have these graduates poured into the city, but they have also come to represent a larger share of the ruling business class. Reference: John Trumpbour, ‘The Business-University Revisited’, in How Harvard rules: reason in the service of empire edited by John Trumpbour, South End Press, Boston, 1989, pp. 159, 163. Trumpbour, in his book How Harvard Rules, examines the role of Harvard Business School (HBS) in supporting US ca pitalism, notes that one of the functions that the HBS fulfils is that of class cohesion. It hosts an annual Business Statesman Award, "which almost always goes to the leading representatives of finance capital", at a lavish gathering of the ruling class. Reference: John Trumpbour, ‘The Business-University Revisited’, in How Harvard rules: reason in the service of empire edited by John Trumpbour, South End Press, Boston, 1989, p. 159. 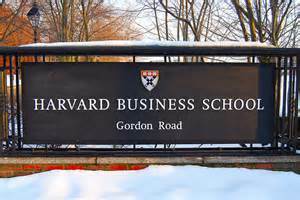 Regarded as the West Point of U.S. capitalism, the Harvard Business School (HBS) produces the field marshals—and the field manuals—that guide finance and industry... HBS faculty hold directorships on 27 separate companies belonging to the Fortune 500; the nearest business school rival holds a mere seven. Reference: Quoted in Robert R. Locke and J.C. Spender, Confronting Managerialism: How the Business Elite and Their Schools Threw Our Lives out of Balance, Zed Books, London, 2011, p. 136. Increasingly the top executives in large US investment firms are being recruited from elite business schools. 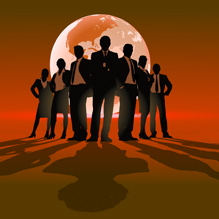 For example in 2005 "among the 180 principals and managing directors in the 20 largest investment firms, 73 [held] an MBA from on of the six elite schools" including 51 from Harvard.